Long gone are the Mad Men days of suits on Madison Avenue drumming up the next big campaign in between scotch and womanizing. The rules that applied to traditional print advertising didn’t seamlessly transition to the online arena, but some of them have transformed and become staples in today’s Digital Era. There are still some tried and tested rules that are applicable. Learn what to keep, and what to nix, when taking the plunge into online advertising. Whether you’re designing an ad for a worker’s compensation attorney, a luxury dog biscuit line or a haute couture ad, think like the target audience. You’re still selling a product or a service. Going way out on a limb with a crazy campaign only works a fraction of the time. Sticking with pandering to the client is still solid advice, but now with digital content there’s more to think about than “just the ad.” What about search engine optimization best practices, marketing automation tools, and geo-targeting? All of a sudden, marketers also need to be tech savvy and the “martech” industry was born. Demanding two polar opposites, creatives and techies, is making it tougher than ever for marketing prowess to be fostered. Simplicity, attractiveness and leaning more safe than experimental are the best options. Some ads are successful by embracing irony or sarcasm, but that’s risky, especially online. You don’t have a captive audience like TV commercials and billboards while people are stuck in traffic. You only have a split second to capture someone’s attention with online advertising, especially since the attention span of Americans is now officially worse than a goldfish. Plus, younger audiences have shown in studies that they prefer quality videos over static images. 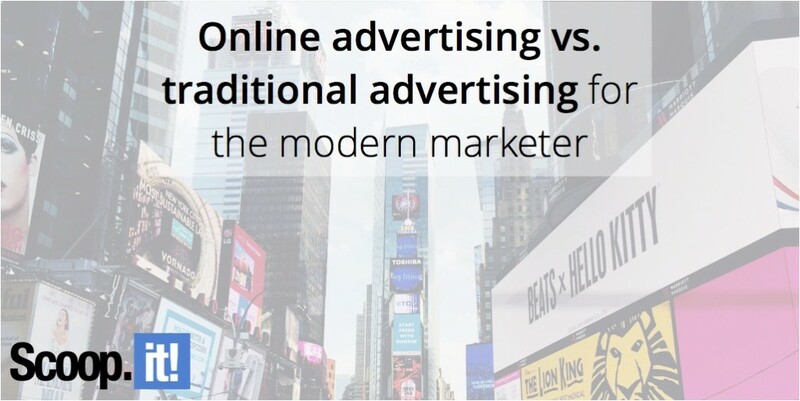 Online advertising is changing so that you’re no longer paying for exposure without clicks. This is great news for you, but it will also make things crystal clear when your ads aren’t performing. You need to perfect the finesse of grabbing someone’s attention without reverting to flash and spam tactics. What will make your readers click? What will make them stay, buy and even become loyal customers? The best thing you can do is depend on brand, reputation and steep discounts. If possible, offer a truly great bargain on at least one product or service. A shocking 70 percent off of a desirable service package or desirable product will likely garner interest. You get bonus points if the product is a brand name and instantly recognizable. Try the discount approach even if it’s not profitable. Of course, this means that your landing pages need to be top notch. You’ll get a few customers who click solely for the deal and you’ll never hear from them again. However, if your landing pages, customer service and overall website is performing, you’ll also convert some clicks to returning customers. You might have only a fraction of the time to capture your reader’s attention compared to traditional advertising, and a lot more competition, but there’s a silver lining. You also have a much larger playing field once you get someone to click. People can’t click on a commercial, print ad or the side of a bus to instantly get more information. This means a lot more work and commitment on your end, but the results are well worth the effort. Once you pique someone’s interest, it’s up to you to keep delivering. Don’t exaggerate the advertisement or make it impossible to actually get. Deliver what’s promised and make life easy for your customers. That’s the ticket to repeat business. Want to work smarter and start generating real results from your content marketing? Find out how to use the new Scoop.it Content Director to help you become a smarter marketer! New features on Scoop.it Content Director!